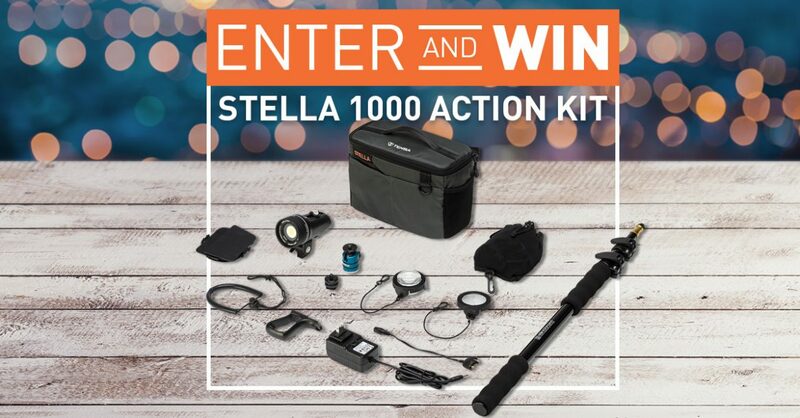 Enter to Win A Stella 1000 LED Light Action Kit! The Light & Motion Stella 1000 is meant to be anywhere you want it to be. Whether it’s 100 meters underwater or 1000 meters above ground, our 1000 lumen light delivers 90 minutes of flicker-free, cinematic lighting on a full charge and is the perfect companion for HDSLRs, high-end cinema, or broadcast cameras. Weighing in at just about .5 lb, the Stella 1000 sets a new standard for power and portability and is truly a game changer for content creators everywhere. We tried doing a 3 week giveaway and frankly, I don’t think it added that many extra leads. The middle week was tough to get people to the giveaway. One lesson was that the lead page that included a timer converted much better than one that didn’t. We also started with a double opt-in and discovered about 1/2 way thru that there were about 500 people who never confirmed and therefore weren’t participating in sharing. We won’t be using that any more until the tools are improved so they allow us to see who’s not confirmed.